Please Join The Monday Conference Call For A BIG ANNOUNCEMENT! 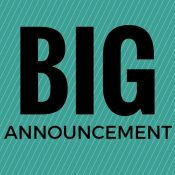 There will be a BIG ANNOUNCEMENT detailed on the Monday Conference Call, February 4th, 2019. Please make sure and join the call by phone or join the FB Live Feed here on the AmeriPlan FB page.